Secondary PTSD – What is it? This week is scared in the U.S. as we celebrate National Police Week in Washington D.C. During this week every year we honor those who have fallen in the line of duty, and we work to support and assist the survivors that have been left behind. This is a time to honor the fallen while rededicating ourselves toward improving the way we serve our communities and enhance our ability to protect our citizens and ourselves. The United By Light campaign gives everyone, everywhere around the world, especially those who can’t make it to Washington, DC, on May 13, to see the activities of the Candlelight Vigil Ceremony by Live Stream on the internet. 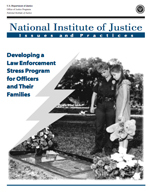 If you are a survivor of a law enforcement death and are not… connected to a support network please consider becoming involved with Concerns of Police Survivors (C.O.P.S.). Concerns of Police Survivors was organized in 1984 with 110 individual members. Today C.O.P.S. membership is over 30,000 families. Members include spouses, children, parents, siblings, significant others, and affected co-workers of officers killed in the line of duty according to Federal government criteria. C.O.P.S. 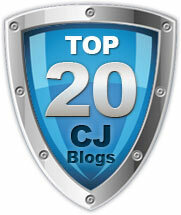 is governed by a National Board of law enforcement survivors. All programs and services are administered by the National Office in Camdenton, Missouri. C.O.P.S. has over 50 Chapters nationwide that work with survivors at the grass-roots level. Affected Law Enforcement Co-workers are Survivors too! C.O.P.S. programs for survivors include the National Police Survivors’ Conference held each May during National Police Week, scholarships, peer-support at the national, state, and local levels, “C.O.P.S. Kids” counseling reimbursement program, the “C.O.P.S. Kids” Summer Camp, “C.O.P.S. Teens” Outward Bound experience for young adults, special retreats for spouses, parents, siblings, adult children, in-laws, and co-workers, trial and parole support, and other assistance programs. You can learn more about C.O.P.S. by CLICKING HERE. Heroes Behind the Badge: Sacrifice & Survival is the excellent follow up film to the original Heroes Behind The Badge documentary film. It features some of the brave men and women of law enforcement who put their lives on the line and survived, and those who made the ultimate sacrifice. This documentary film not only tells the stories of brave officers who have laid down their lives in the line of duty, but also the stories of the countless officers each year who are physically disabled, many of them permanently, in violent confrontations. In addition to being a week to honor and remember, National Police Week is also a week for us to further dedicate ourselves toward containing our efforts To Protect and To Serve. You may recognize this motto that has in it’s simplicity been adopted by most of the law enforcement personnel around the world but it has it’s roots with the Los Angeles Police Department here in the United States. The winning entry was the motto, “To Protect and to Serve,” submitted by Officer Joseph S. Dorobeck. “To Protect and to Serve” became the official motto of the Police Academy, and it was kept constantly before the officers in training as the aim and purpose of their profession. With the passing of time, the motto received wider exposure and acceptance throughout the department. On November 4, 1963, the Los Angeles City Council passed the necessary ordinance, and the credo has now been placed alongside the City Seal on the Department’s patrol cars. (Reprinted from BEAT magazine, December 1963)”. Do you ascribe to the motto: “To Protect and To Serve”? Have you ever asked yourself what that motto means to you? What are you doing on a daily basis that promotes and reinforces that motto? Take a moment to get a piece of paper and a pen and write out your thoughts about the motto “To Protect and To Serve” and how it applies to you. Write (yes, I said write!) out your thoughts and goals about how you will protect others, how you will protect yourself and how you will serve your community. If you take just a few moments to actually write out your thoughts you will be using a scientifically proven method to reinforce your intentions and turn that motivation into action. Good luck! Will We Ever Reduce The Number of Officers Killed in the U.S. to Under 100 a Year? Consider implementing the Below 100 Program at your agency. The Below 100 Program, an initiative that aims to reduce the line of duty deaths to below 100, a number not the seen since 1944. What are you doing to stay alive and well in your career? Consider Armoring Your Self and Armoring Your Agency! Do you train and condition yourself physically, mentally, emotionally and spiritually to survive on the job? 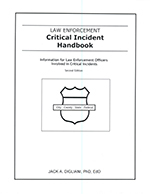 Does your agency have systems in place to support your survival? Let’s use National Police Week as a time to honor our Heroes Behind the Badge, support all survivors and learn to better Protect and Serve as we reduce the number of line of duty deaths to Below 100. CopsAlive salutes all the brave men and women who work in law enforcement. During this week of remembrance we also take pause to remember those who have fallen and those who have survived. We pledge to continue our work to honor and support all of you. 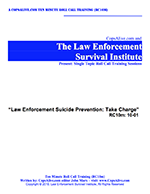 Our mission at CopsAlive is “to save the lives of those who save lives” and this blog is written to prompt discussions within our profession about the issues of law enforcement career survival. We invite you to share your opinions, ask questions and suggest topics for us in the Comment Box that is at the bottom of this article.